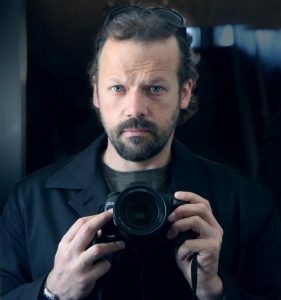 Craig Small is a Canadian visual artist / director who worked at several top design and post houses around Toronto before co-founding his own studio, The Juggernaut, in 2002, where he is highly sought-after by broadcasters, production studios and advertising agencies and other artists. He has collaborated with top international creatives including David Carson, Paul Sych, Clyde Henry Productions and Chris Landreth. Craig’s title designs have twice been nominated for Emmy Awards. Craig is currently developing an animated film based on the best-selling 2010 graphic novel KENK: A GRAPHIC PORTRAIT. The non-traditional mixed-media film is a co-production with the National Film Board of Canada. Craig is a voting member of BDA (Broadcast Designers Association) and the Academy of Canadian Cinema & Television. © Craig Small. All Rights Reserved.